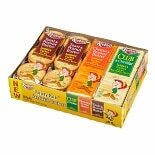 Shop Keebler Club Crackers Original (5.25 oz. )5.25 oz. 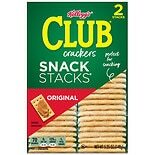 $399$3 and 99 cents$0.36 / oz. 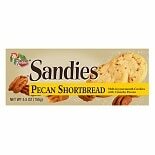 Shop Keebler Sandies Cookies (5.5 oz. )5.5 oz. 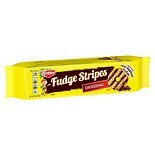 Shop Keebler Fudge Shoppe Fudge Stripes Cookies (11.5 oz. )11.5 oz. 2 for 6 dollars and 00 cents or 1 for 3 dollars and 99 cents 2/$6.00 or 1/$3.99$0.35 / oz. 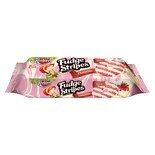 Shop Keebler Fudge Stripes Cookies Strawberry Cheesecake (11.5 oz. )11.5 oz. 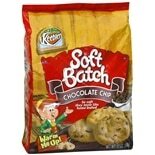 Shop Keebler Soft Batch Cookies Chocolate Chip (12 oz. )12 oz. 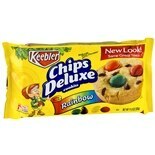 Shop Keebler Chips Deluxe Cookies Rainbow (11.3 oz. )11.3 oz.